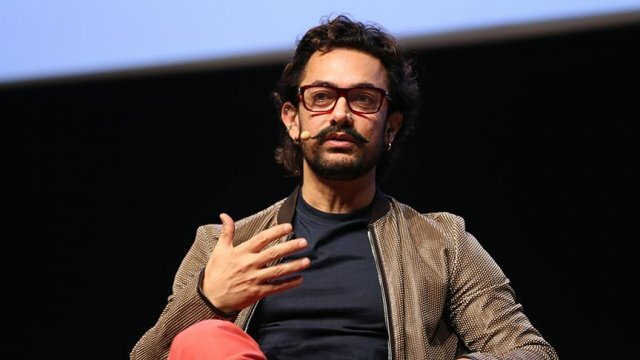 Bollywood superstar Aamir Khan has said he is surprised to learn about his huge fan following in Turkey and expressed his interest in learning more about Turkish cinema. Khan arrived in Istanbul earlier on a special invitation of Turkey during which he will also promote his latest film Secret Superstar that will be released worldwide on Oct. 20. Speaking at a news conference, the critically-acclaimed actor, whose films often break box office records in India and around the world, said he had been “constantly getting messages from Turkey” to visit the country. He also expressed an interest in Turkish cinema. “I am really keen to experience Turkish cinema and I am very keen to watch works of artists from Turkey,” the 52-year-old told reporters. Earlier, Culture Ministry said in a statement that Khan had been invited to Turkey during which he will visit Istanbul and capital Ankara between Wednesday and Saturday. The actor is also scheduled to meet Culture Minister Numan Kurtulmus as well as Turkish film producers, actors and cinema students. Khan’s latest film tells the story of a talented 14-year-old girl who wants to follow her dream of becoming a singer. About the concept of the film, he said: “Often we complain that not enough films were [being] made about what a girl is feeling or what a woman is going through”, adding that the movie was about a girl's "dreams, her aspirations, her hopes”. He added that there had been a lot offers from the U.S. but so far he had “not really come across a script that I have been excited about”. About a question on persecution of Rohingya Muslims in Myanmar, Khan said: “I think what is happening in Myanmar is very heartbreaking. Since Aug. 25, some 507,000 Rohingya have crossed from Myanmar's western state of Rakhine into Bangladesh, according to the UN. The refugees are fleeing a military operation in which security forces and Buddhist mobs have killed men, women and children, looted homes and torched Rohingya villages. According to Bangladeshi Foreign Minister Abul Hasan Mahmood Ali, around 3,000 Rohingya have been killed in the crackdown. “I can only hope and pray that as human beings we can somehow get over this,” he added. Later, Khan met his Turkish fans at an Istanbul theater ahead of the screening of his 2016 hit Dangal. The film -- a biographical sports drama -- was released on Aug. 18 in Turkey.